A valid US address is required for e911 functionality. This information gets transmitted to the emergency dispatcher for all 911 calls made using a Wi-Fi network. If address validation fails then the users will be prompted to enter a new address until a valid address is entered. Visit the Manage connected devices page. If prompted, from the 'Here's what to do' window, click OK (located at the middle). 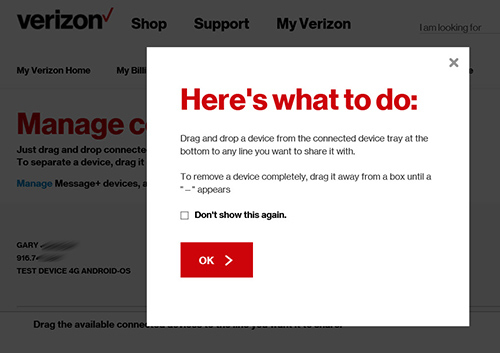 From the Connected Devices list, select the desired connected device. Enter the new address then click Save Changes (located at the bottom right).